Do you want to hide your App Store previously purchased apps, while you make some new purchases? 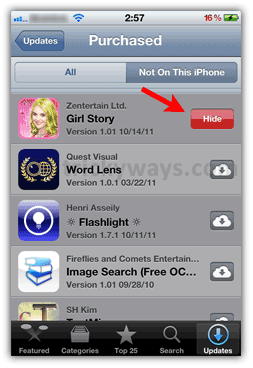 Then go for the guide below that let you people learn the process to hide/unhide purchased apps in App Store on iPhone. Note: First you must be sign in on App Store by using your Apple ID and password. For the security constraint, App Store again asks for Apple ID password, while you edit something related to your purchases, so you have to provide that during the process below, whenever that would be required to proceed further. Now, if you want to unhide your App Store Purchases then just follow the steps below.